A vehicle with a puppy inside that was stolen from a home in Arvada earlier this week has been recovered and the puppy found safe. 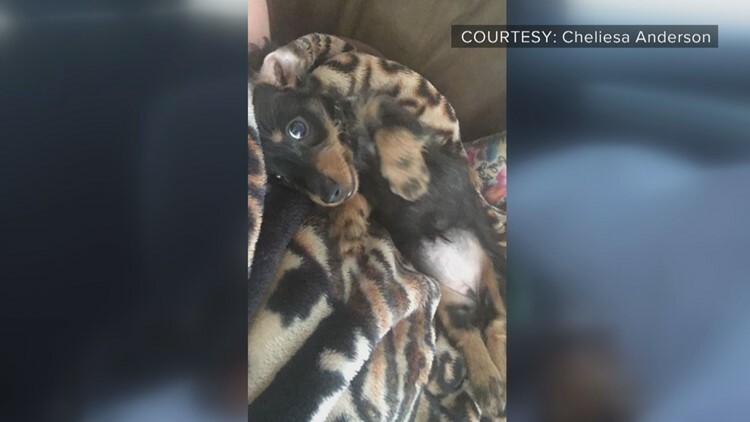 Two suspects are in custody after allegedly stealing a vehicle with a puppy inside from a home in Arvada earlier this week, according to the Arvada Police Department. A family moving from Texas to Oregon had stopped to visit relatives in Arvada near Oak Street and 68th Avenue over the weekend. Cheliesa Anderson said she was packing up her Ford Fusion at about 5:40 a.m. on Sunday when the car was stolen with her 10-month old puppy, Ciri, still inside. On Wednesday morning, police said the vehicle and puppy were located in Westminster and that two people were taken into custody at about 3 a.m. Both the puppy and the car are in the process of being returned, police said.